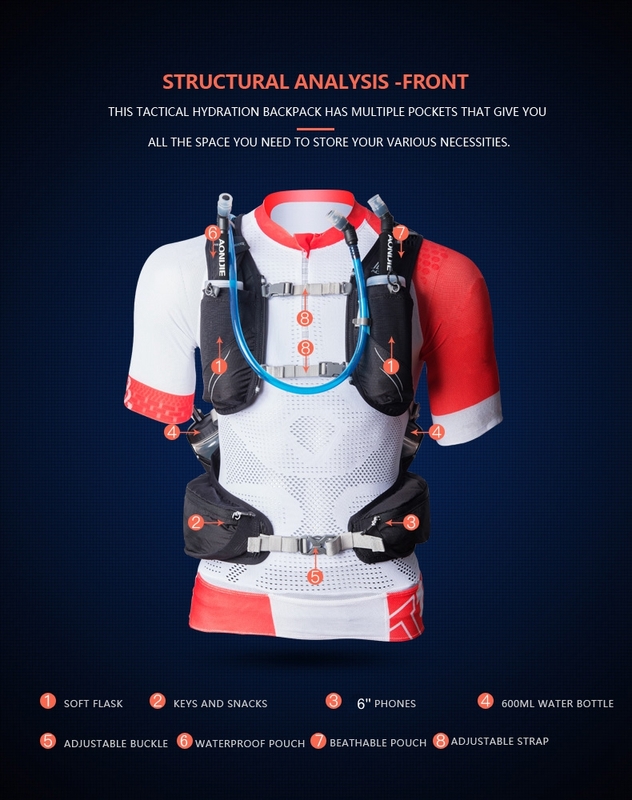 This backpack can be used for more than just running. 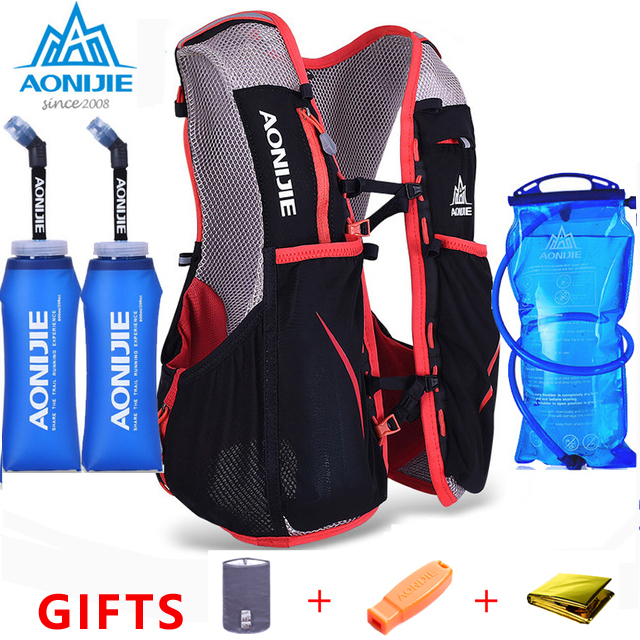 It is suitable for almost all outdoor activities such as hiking, riding, camping, marathon, etc. Super Lightweight: It is super lightweight, just 0.395kg, reducing your loading weight when you are running, you can carry more necessities you need. Fit is one of the most important factors in a comfortable backpack, but it/\'s also one of the toughest features to pin down until you have a pack fully loaded and on your back. This item comes with adjustable chest strap and waist strap, fitting most body sizes. Besides, it can fit your back closely, getting rid of rocking. With the mesh cloth, breathable and comfortable. Made of ultralight water-resistant and tear-resistant nylon, polyester lining and breathable mesh, the product devotes itself to an effective helper, not only comfortable but thoughtful. Reflective strip on the shoulder strap and the front of backpack, ensure your safety for night cycling. With an emergency blanket, a survival whistle and 2 perfect 600ml bottles for outdoor activities. -Days Worth Of Gear- Different size and purpose driven pockets assure that you can bring everything you need! Use the small pockets for keys, credit cards and valuables; and larger pockets for the bigger gear. They fit up to a 13" laptop, DSLR, Go Pro or anything else you may want. Multiple carabiner attachment points and exterior pockets to take even more. -Diverse, Durable & Dry- Constructed using extremely durable 600D polyester that is water resistant and designed to last for years. With a convenient headphone jack you can even jam out while keeping your phone dry. Perfect for hiking, cycling, camping or just a day trip.